Knowing how to name Atlantic Canadian locations using the two forms of sign language most common in those provinces has become much easier, thanks to a new online tool created by Halifax environmental science professor. Knowing how to name Atlantic Canadian locations using the two forms of sign language most common in those provinces has become much easier, thanks to a new online tool created by a Halifax environmental science professor. Linda Campbell, a member of the deaf community who travels regularly as a scientist with Saint Mary's University, launched a website demonstrating how to sign location names in the region. 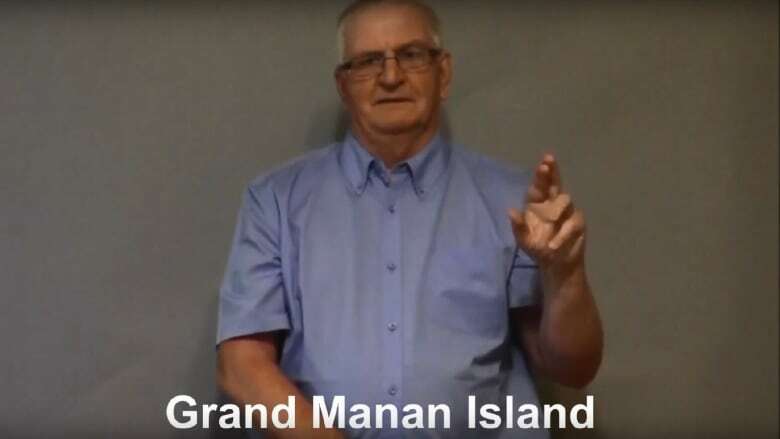 "I know the English name, I would know the local Mi'kmaq name, but I didn't know the Maritime Sign Language or the American Sign Language name," Campbell said. "I felt that connection was missing." The website has maps of Nova Scotia, Prince Edward Island, New Brunswick and Newfoundland and Labrador. There are pins on each map and when visitors click on one, a video demonstrating how to sign the name in both Maritime Sign Language and American Sign Language pops up. There are 120 pins total. The online tool is a partnership between deaf and interpreting organizations. Campbell said it will help newcomers correctly sign the name of places they're visiting while also preserving Maritime Sign Language, which originated in Atlantic Canada. More seniors are fluent in Maritime Sign Language than new learners, Campbell said. She said the heritage language has grammar, structure and accents separate from the more widely used American Sign Language. "The name is such a part of the history of how a place came to be, the stories, the humour," said Campbell. Campbell said American Sign Language users in the Maritimes will sometimes inject Maritime Sign Language words into their vocabulary. "I was amazed and felt we needed to document this and share it with other people," she said. "I learned a new sign today for Charlo. There's a sign for that and I didn't know," said Amy Parsons, an educational interpreter consultant for Atlantic Provinces Special Education Authority, a partner in the project. The authority provides support for about 600 students in public schools who are deaf or partly deaf. Parsons said there's a lack of resources in sign language. She said she often has to seek out individual community members for vocabulary and name signs. Parsons said students will benefit from the easy access and visual nature of the website, particularly in subjects such as social studies and geography. She said the project also deepens connections between students and elders using Maritime Sign Language. "It's preserving our heritage," she said.